Many people ask how I do my "wholistic" consultations. There are many physical ways to evaluate the body’s needs, such as blood tests, allergy tests, hair analysis, iridology (eyes), radionic devices that measure energy and frequency, kineseolgy (muscle testing), etc. These measuring devices are, at most, two-dimensional and the data is only as good as the experience of the analyst or interpreter. I can incorporate such data from such devices if the client has it but I also listen to the client's feedback as to what is going on in their (or their pet's) body, compare this to our extensive client base and our combined 100+ years of holistic experience. I then add my own intuitive feedback to give a multi-dimensional wholistic consultation. I have named this unique technique, Wholistic Intuitive Deductive Reasoning (WIDR-pronounced wider). Wholistic Intuitive Deductive Reasoning is a way to discover what the next step is in achieving your wholistic goals towards Freedom From Illness. Not being a doctor or vet, I do not interpret lab results or prescribe anything. Instead, I listen to what has worked and not worked for your or your pet’s body and guide you and your pet to wholistic options based on my 65+ years of personal wholistic experience. I base my conclusions on observed results from the WHOLE body not one particular reading, test value, lab test, symptom or complaint. so they can obtain Freedom From Illness. Russell, as a "Wholistic" Scientist, is the world's leading expert on the use of the revolutionary holistic bio-algae concentrates (other than Dr. Michael Kiriac-BioNutrition-the manufacturer and Dr. Roland Thomas-BioAge-its agent) on animals. Russell is a wholistic scientist combining his 65+ years of holistic living experience, his Bachelors of Science degree and his 16+ years (since 2012) of experience using BioPreparation/ BioSuperfood in his holistic practice. Russell also practices aromatherapy using therapeutic-grade essential oils for boosting the body's immune system, reducing stress and pain, emotional clearing, releasing mental blocks, facilitating mid-life transitions ("mid-life crisis") and maintaining mental clarity. 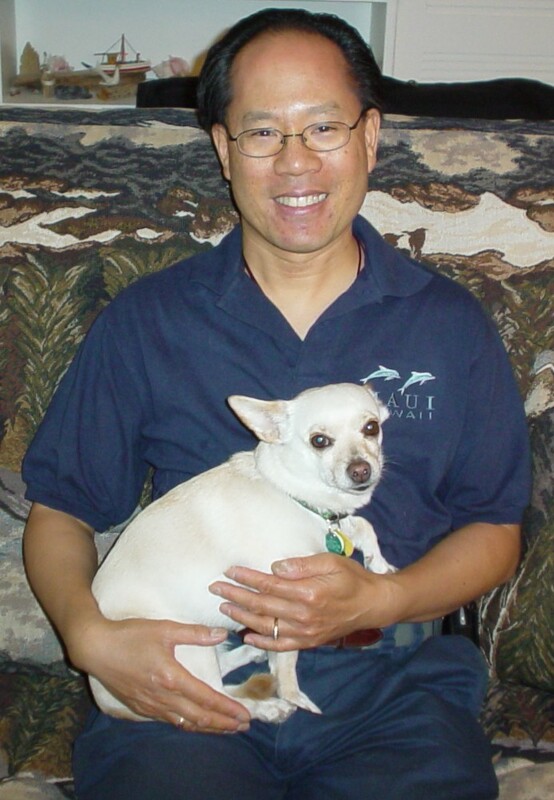 He has completed Level 1 and 2 aromatherapy training courses from Young Living Essential Oils. Russell is a certified Reiki Master. His education includes a B.S. degree in geophysical engineering from the Colorado School of Mines (1974). He served as executive director, teacher and minister of the Creative Light Center from 1987-2000. He has offered classes in essential oils and Taoism through Journey Books. He has taught Natural Pet Care workshops in Denver. 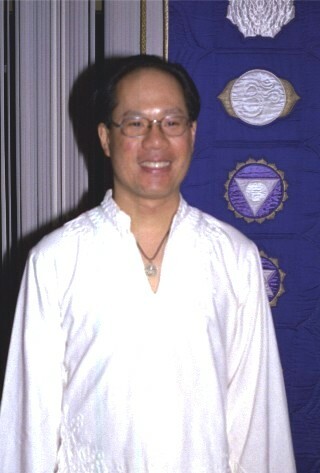 He has studied spirituality and holistic health for over 35 years. He synthesizes his scientific background with his knowledge of healing to create optimum holistic health. He was a regular guest on several radio shows and published a regular column in Dogs & Cats Colorado Style and many holistic articles on the Internet. Russell was born into a wholistic family and has lived a holistic lifestyle for 65+ years. His mother worked for the Atomic Energy Commission as a biologist before he was born. With her knowledge of radiation effects and how drugs interact with the body, she was determined to raise her family in a natural way. The word "holistic" was not used then. People back then were always questioning why we ate "that hippie diet" or "rabbit food." His mother was known as the "Herb Lady of Hempstead." She was reading books by Adele Davis, Dr. Carleton Fredericks, Rachel Carson and Rodale long before they were fashionable. People from Manhattan and all over Long Island came to see her for her knowledge of herbs, kinesiology, polarity treatments, nutrition, essential oils and holistic supplements (e.g., Standard Process, Dr. Christopher's formulas, Herbalife). Russell's mother was the largest Standard Process distributor in Nassau County on Long Island. Russell combines his inborn knowledge of holistic living with his scientific and research ability as a geophysicist to sort through the marketing hype to determine what is really holistic. Rather than just taking supplements to hide or suppress the symptoms, he is interested in total and permanent wellness.